A harrowing story of how an unloved, unwanted dog goes from nearly becoming a coyote meal to living in a home where she is adored. Caryl McIntire Edwards lived the experience about which she writes here. When she saw the frightened, thin, wounded beagle she knew she had to do something to make things right for her. 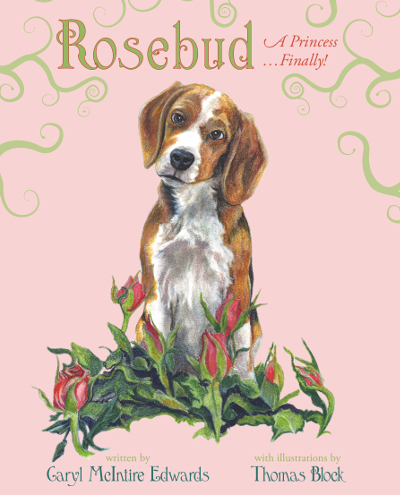 This story is hers and her husband’s as well as it is Rosebud’s. Caryl and her twin brother grew up on a farm in York, Maine where she learned to care about all animals. getting her Master’s Degree in special education. She later moved back to Maine where she completed her teaching career. She lives in Western Maine with her husband, Perry, and host of rescued animals, including Rosebud.